BrewDog is the company at the forefront of the craft beer revolution. The trend is that consumers are increasingly interested in premium beer products and BrewDog was one of the very first companies to provide a product in the UK which could capitalize on the trend and do it well. The company’s secret has been to brand the product as an “alternative” product, with much attention devoted to the ingredients and the skill of the brewer, whilst at the same time making use of innovative crowd funding programs and landing big deals with major supermarkets. BrewDog has straddled the line between an “indy” product and a vast beer brewing company, so that the product can be found in most major supermarkets in the UK whilst still retaining the image that craft beer companies want. Betting on this trend has paid off, because now the top beer companies all have and need a stake in the craft beer revolution if they want to remain relevant. 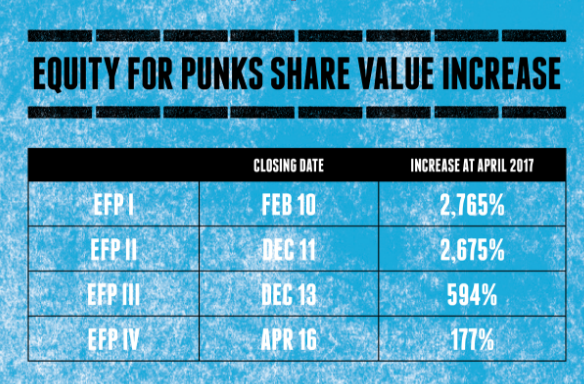 In April 2017 BrewDog was in an excellent market position and it then secured a huge investment from TSG Consumer Partners worth £213m ($273M) selling 22% of the company. Some accuse the company of selling out its “punk” image, but this move is more a signal of intent, the company is already growing rapidly, but this move indicates it has ambitions to try and hurt the major players. The craft beer trend has not gone unnoticed by the big beer brewers; they have been watching intently and then acting rapidly in the past 5-10 years that the craft market has been developing. The attraction for them is growth, the craft sector has various estimates but somewhere between 8% and 12% compound growth over the past five years is what the global craft market has been seeing, while the general beer market has been much more stagnant. This growth has come largely from craft beer companies snapping up the customers of the big beer conglomerates. As is usual in the beer market AB InBev has been leading the response from the big beer companies and it has been acquiring multiple smaller craft companies that were receptive to acquisition or shared ownership. Currently the likes of the biggest craft beer companies are nowhere near the scale of the big brewing companies and any direct competition between them isn’t really much of a comparison as yet. However, it remains to be seen how far the craft beer trend could go as it has produced double digit growth for a number of years and there are some beer companies, like BrewDog, that have no intention of allowing any acquisition by the likes of AB InBev, which means we may see some new entrants trying to grow big enough to become a threat on the back of the craft beer market.